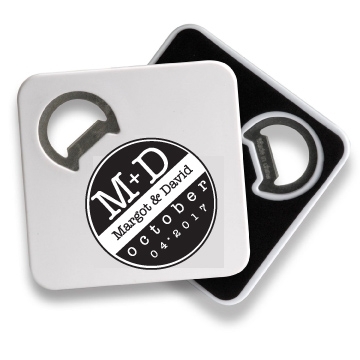 A great giveaway at a beer-themed wedding or a party. Set them out at each place setting and your guests can use them all night and then take them home at the end of the evening. White. Foam padding to protect furniture and other surfaces. Price includes a 1-color imprint.